​Click HERE to fill out an online registration application. ​1. 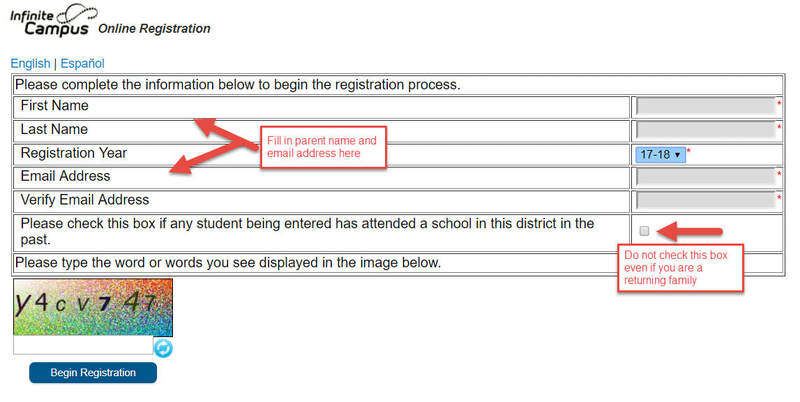 Do NOT check the box that states this child has attended in this district. If you check this box the system will kick you out.